Background check and age verification required. $25.00 Application Fee per person. This is non-pet, non-smoking rental. 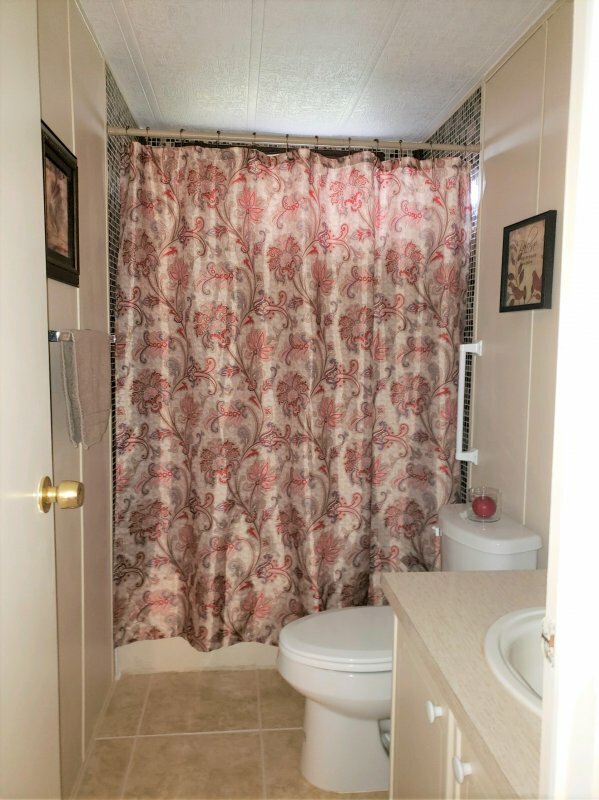 Includes all utilities, sales & tourism taxes, trash, maintenance, local TV, & internet. TV in LR has a Roku for streaming and other TV's have Google Chromecast. It is a 1000 sq. 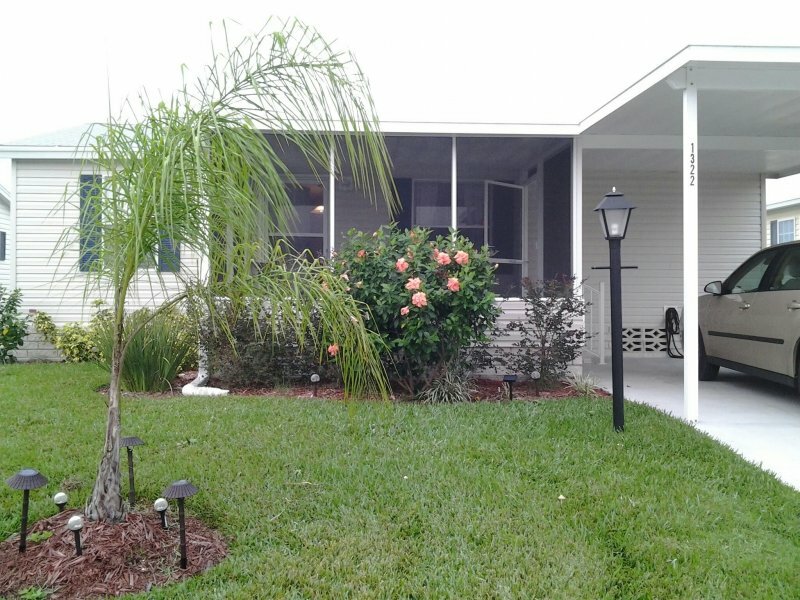 ft. 2BR/2BA home with a carport, laundry room in carport shed & a large 12' x 22' screened/enclosed lanai for year-round use. Vaulted ceilings in LR, dining room and kitchen. Master bedroom has a king bed, private bath and a walk-in closet. Second bedroom is set up as an office/sitting room. This is a 1-2 person rental. 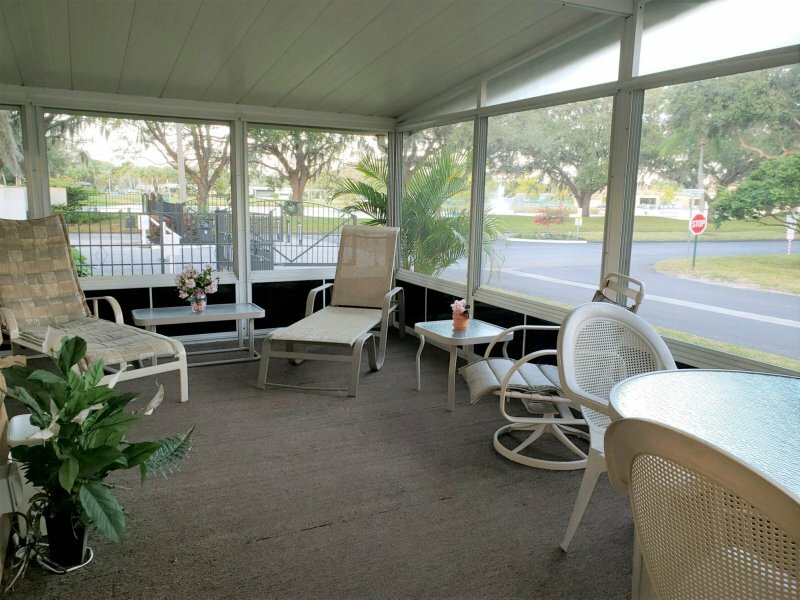 It is on a shaded corner lot, with a lake view and a short walk to the club house and facilities. 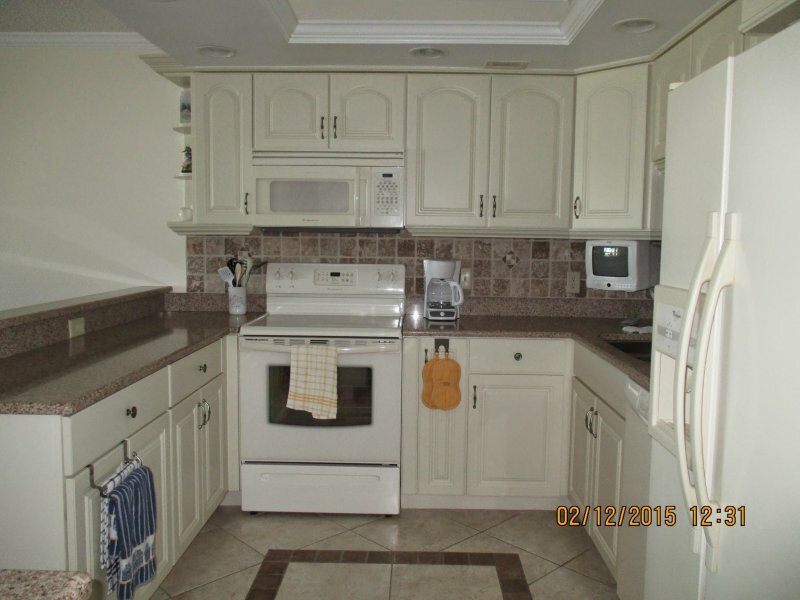 It has carpet, tile, and laminate flooring throughout, kitchen has all appliances; dishwasher, stove, microwave, garbage disposal, pantry and ample cabinet space. This park features both a clubhouse as well as a multi-functional auditorium. There is a large gathering space that can seat up to 299 guests and another smaller, more intimate seating area for resident use. 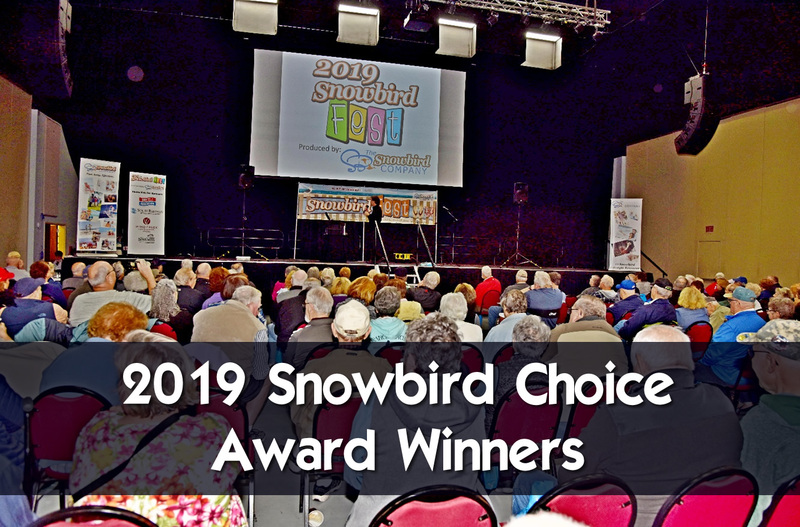 Various clubs, meetings, activities, and luncheons are held there as well as special events, shows, dances and exhibits organized by the community's own full-time Social Director. This is a gated community. It also features over 36 security cameras throughout the campus. Four computer workstations, two laptop stations, and a laser printer are available for your use. There are many training sessions available for residents to learn email, Facebook and basic online activities. Also enjoy the free WiFi hot-spot available throughout the clubhouse and pool deck from your phone or tablet. 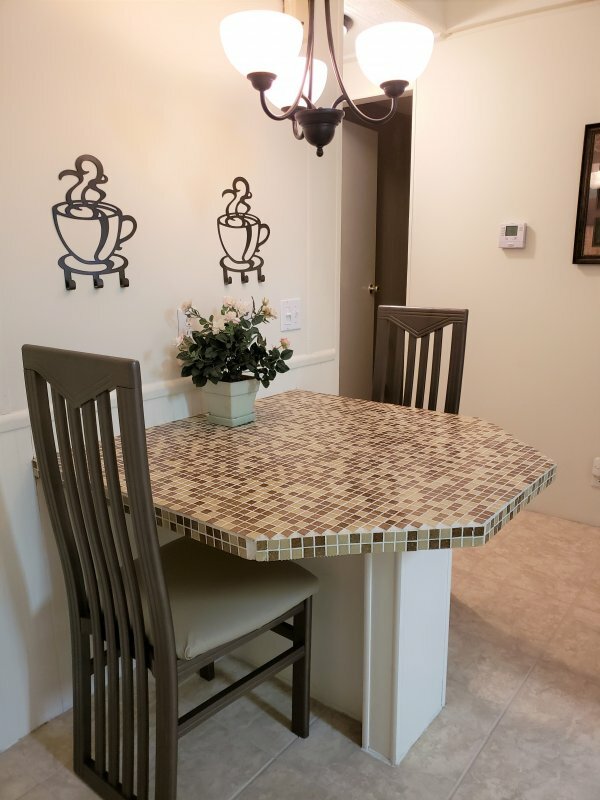 Residents use this area for a variety of activities such as ceramics, painting, quilting and crafts. There are two kilns for resident use. There are (2) Bocce Ball courts, (3) Corn Hole stations & (2) Pickle Ball courts. There are social games as well as leagues, inter-community teams and special events. This is a 2-person rental. 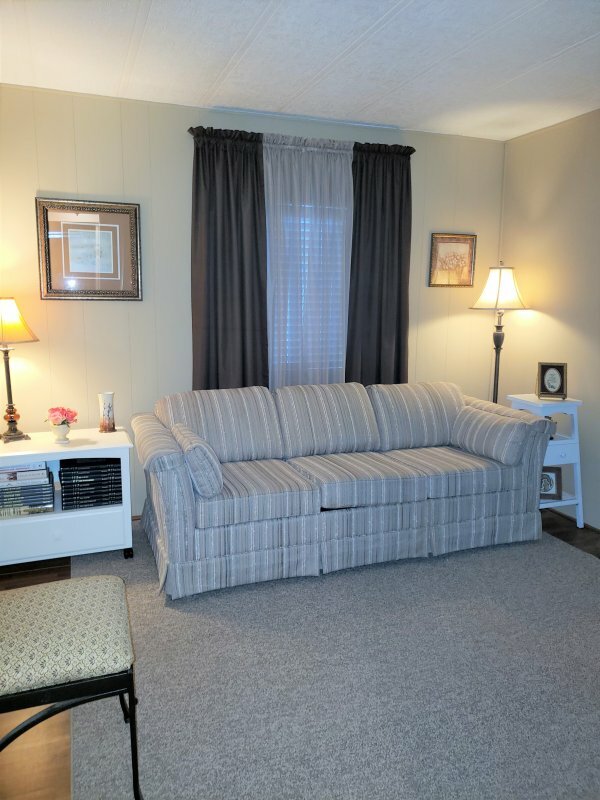 Description May - October 2019 - $1,700.00 per month November - December 2019 - $2,200.00 per month January - March 2019 - $3,200.00 per month April 2019 - $2,200.00 month May - October 2019 - $1,700.00 per month November - December 2019 - $2,200.00 per month Background check and age verification required. $25.00 Application Fee per person. This is non-pet, non-smoking rental. 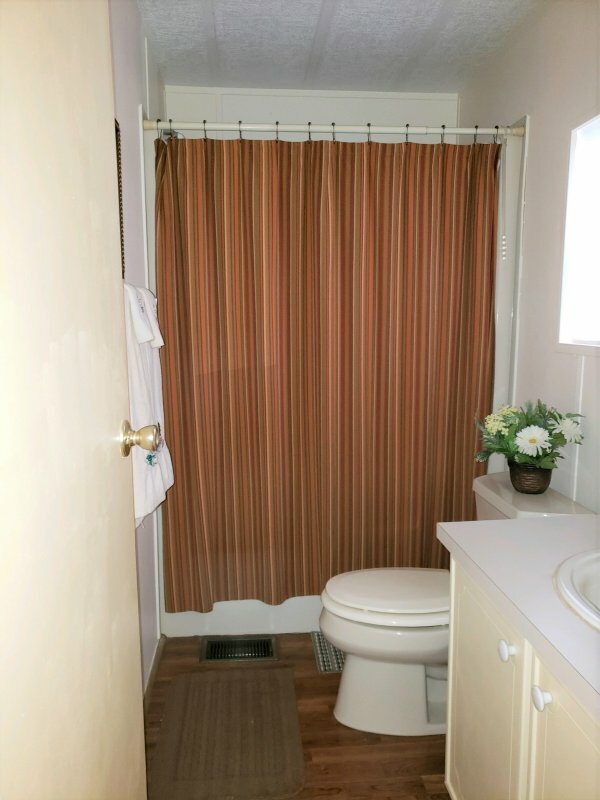 Includes all utilities, sales & tourism taxes, trash, maintenance, local TV, & internet. TV in LR has a Roku for streaming and other TV's have Google Chromecast. 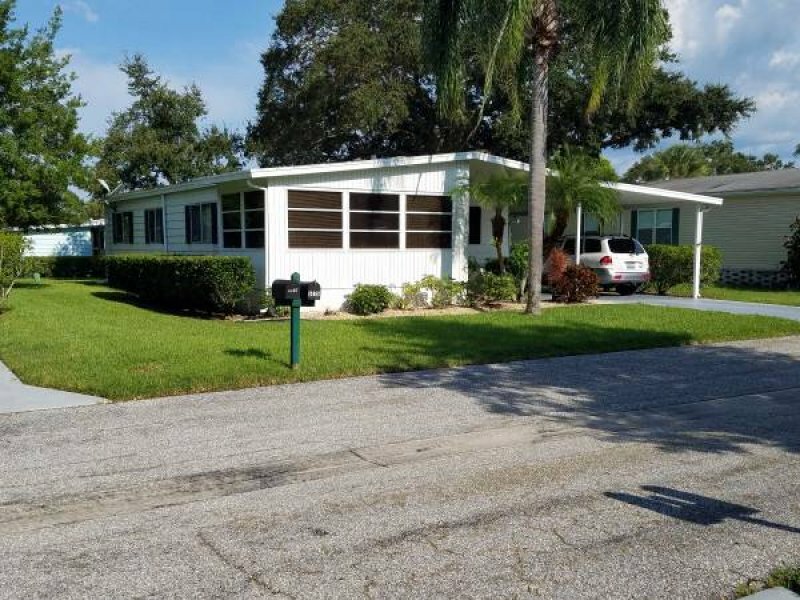 This home is centrally located in Sarasota in a beautifully maintained, gated 55+ manufactured home park. 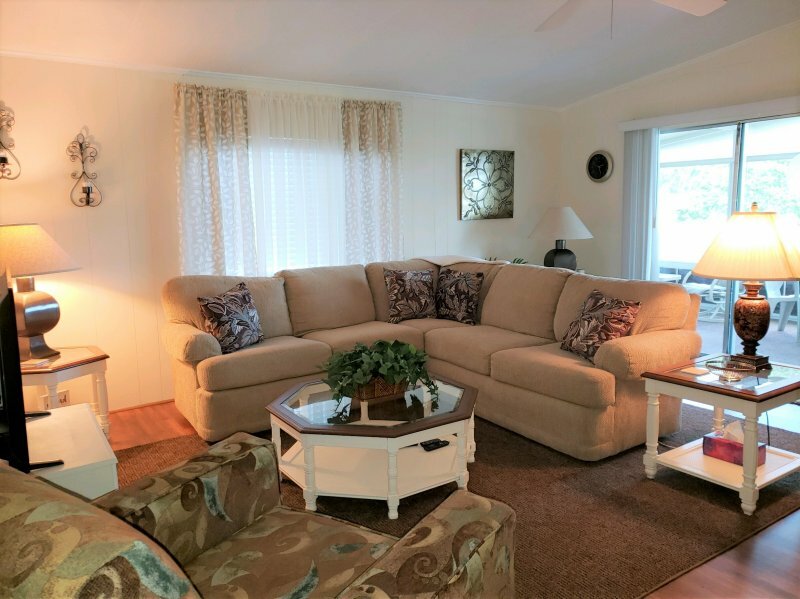 The park has 2 heated pools, new clubhouse, fitness center, library, pool tables, shuffleboard, Bocce/Corn Hole/Pickle Ball, tennis, basketball, crafts, an activity room, & more. There are tons of activities to participate in if you choose. 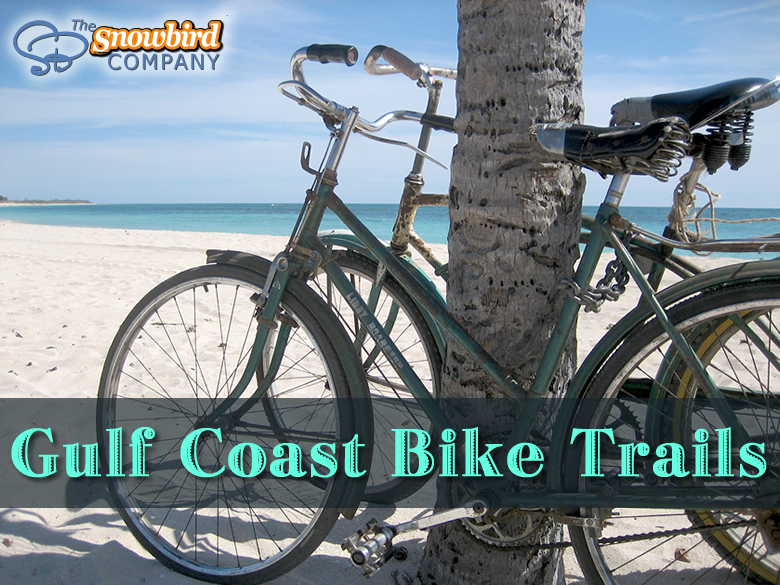 It is 7 miles to Siesta Beach and 3 miles to I-75. It is a 1000 sq. 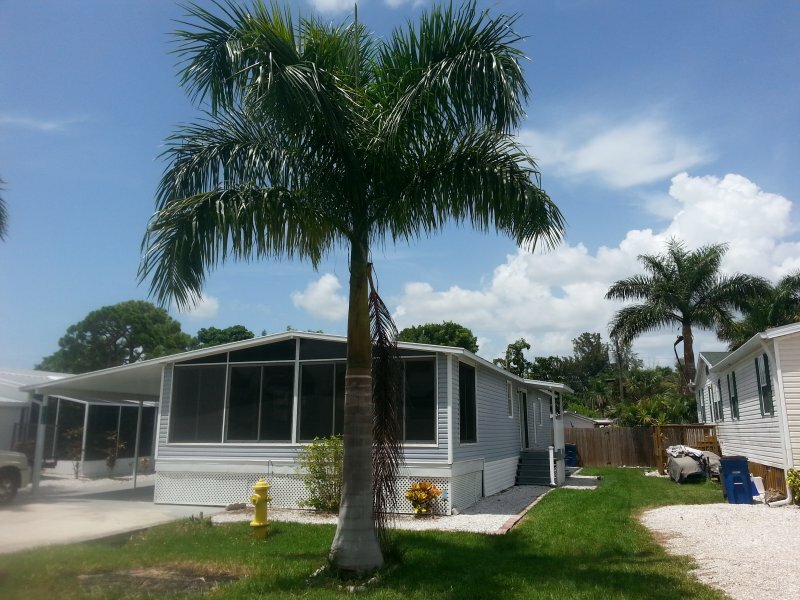 ft. 2BR/2BA home with a carport, laundry room in carport shed & a large 12' x 22' screened/enclosed lanai for year-round use. 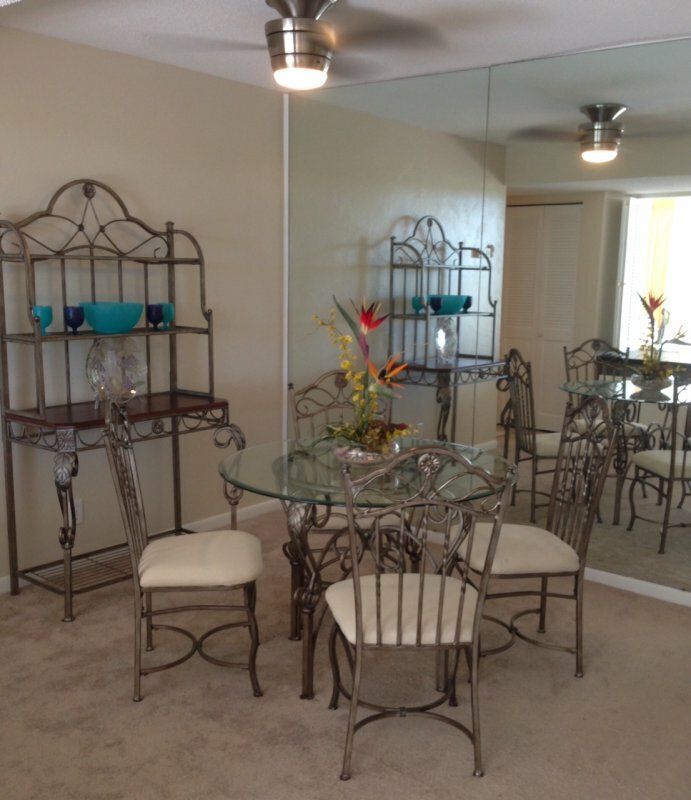 Vaulted ceilings in LR, dining room and kitchen. 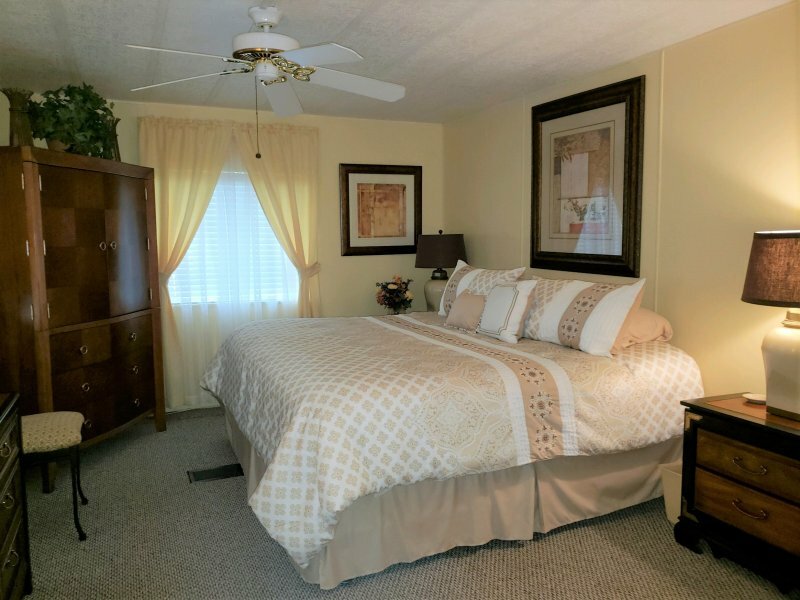 Master bedroom has a king bed, private bath and a walk-in closet. Second bedroom is set up as an office/sitting room. This is a 1-2 person rental. 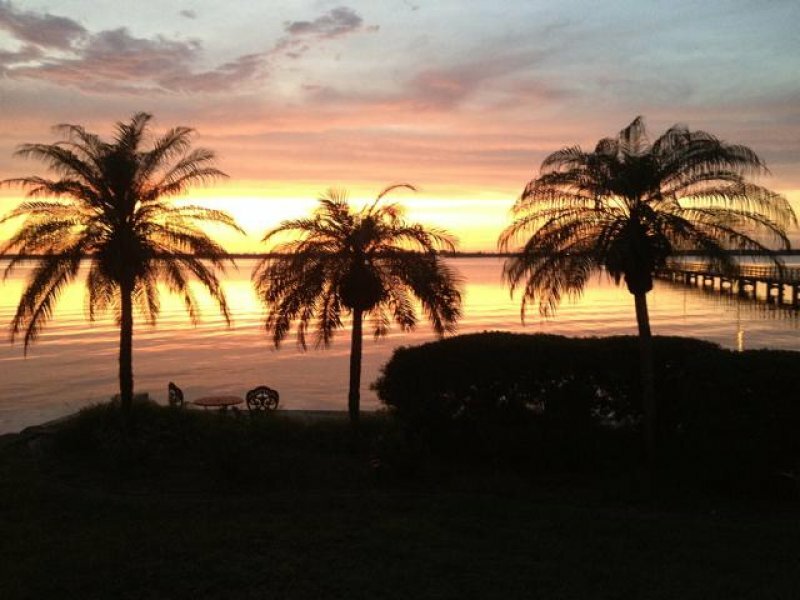 It is on a shaded corner lot, with a lake view and a short walk to the club house and facilities. 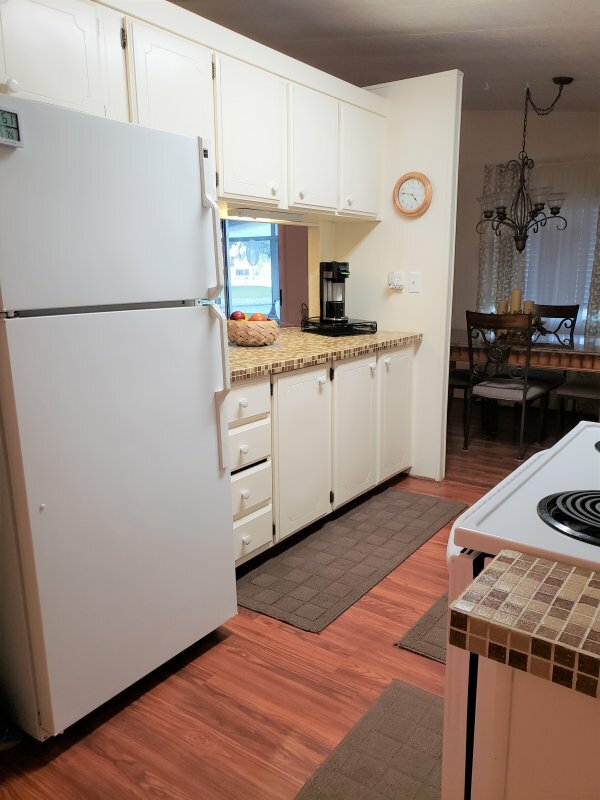 It has carpet, tile, and laminate flooring throughout, kitchen has all appliances; dishwasher, stove, microwave, garbage disposal, pantry and ample cabinet space. 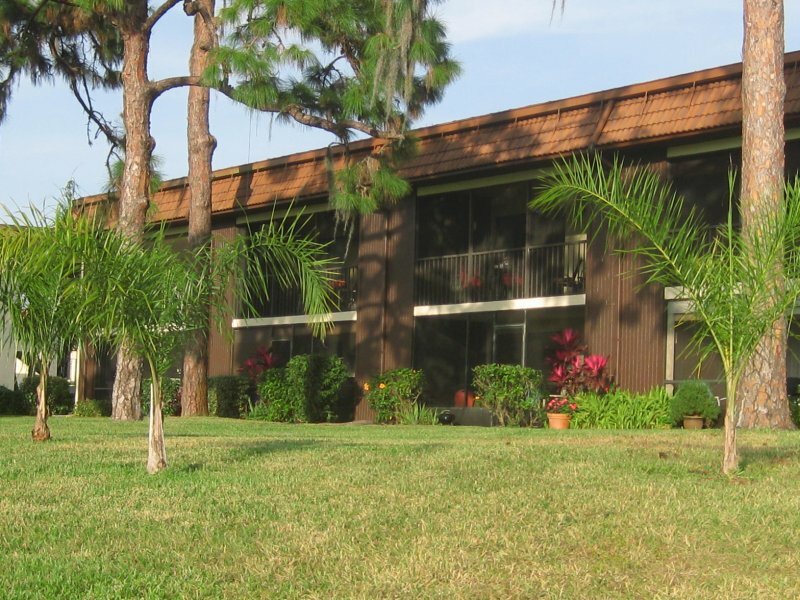 This park features both a clubhouse as well as a multi-functional auditorium. There is a large gathering space that can seat up to 299 guests and another smaller, more intimate seating area for resident use. 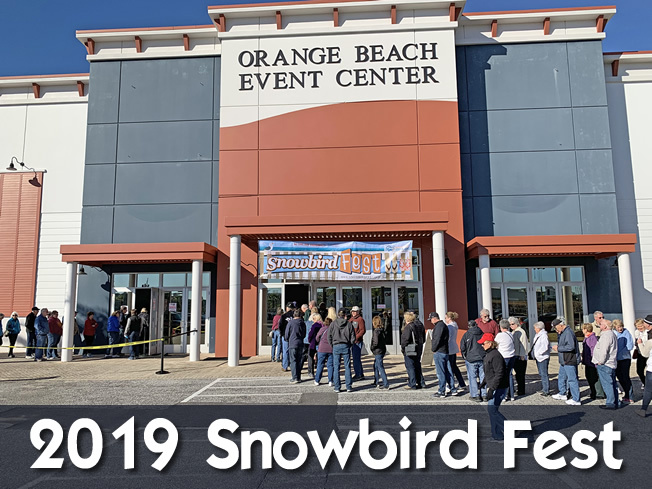 Various clubs, meetings, activities, and luncheons are held there as well as special events, shows, dances and exhibits organized by the community's own full-time Social Director. This is a gated community. It also features over 36 security cameras throughout the campus. Four computer workstations, two laptop stations, and a laser printer are available for your use. There are many training sessions available for residents to learn email, Facebook and basic online activities. 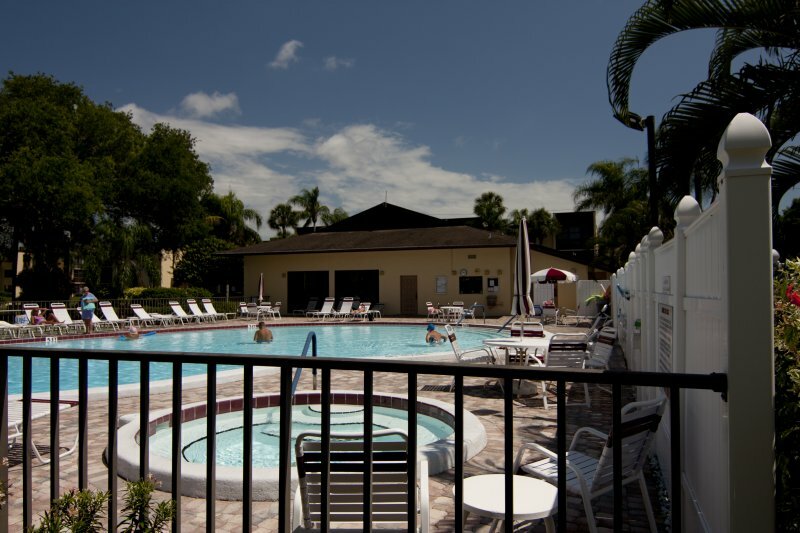 Also enjoy the free WiFi hot-spot available throughout the clubhouse and pool deck from your phone or tablet. 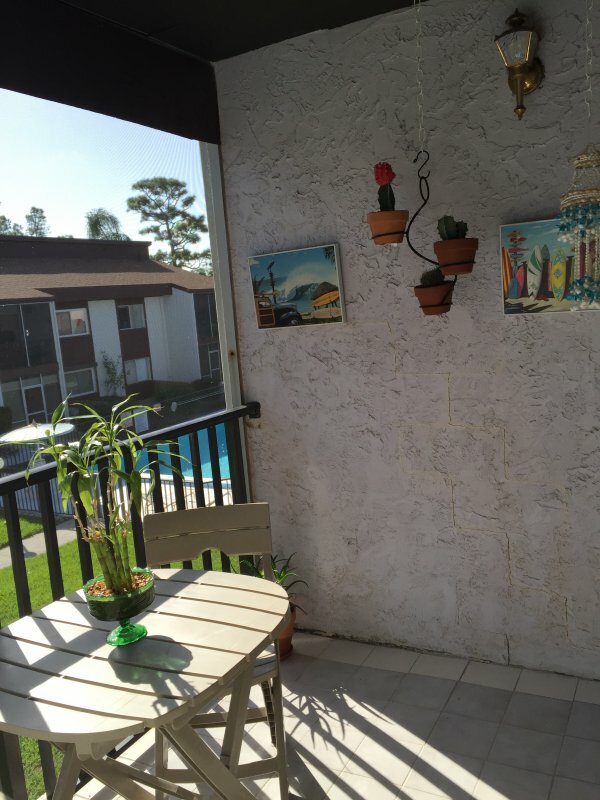 Residents use this area for a variety of activities such as ceramics, painting, quilting and crafts. There are two kilns for resident use. There are (2) Bocce Ball courts, (3) Corn Hole stations & (2) Pickle Ball courts. There are social games as well as leagues, inter-community teams and special events. do NOT contact m This is a 2-person rental. $200.00 cleaning fee. Additional Rate Information 2017 Off-Season - May - October 2017 - $1,500.00 per month *($50.00/day) 2017 Pre-Season -November/December - $2,000.00 per month *($67.00/day) 2018 Peak Season - January-March 2018 - $3,000.00 per month *($100.00/day) 2018 Post Season - April 2018 - $2,000.00 *(67.00/day) 2018 Off-Season- May-October - $1,500.00 per month *(50.00/day) 2018 Pre-Season - November/December $2,000.00 *($67.00/day) (This is not a daily or weekly rental. The daily price reflects a monthly daily rate breakdown) Background check and age verification required. $25.00 Application Fee per person. This is non-pet, non-smoking rental. 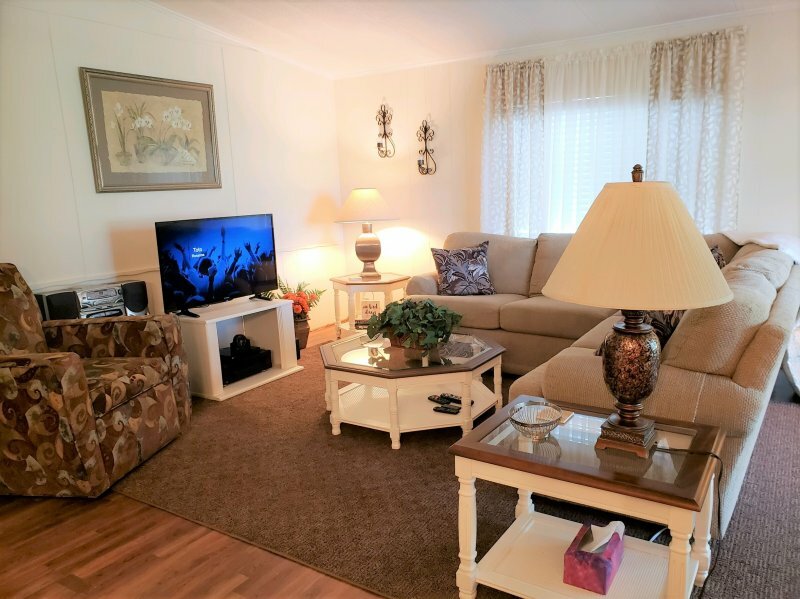 Includes all utilities, sales & tourism taxes, trash, maintenance, TV, Phone & internet.